It's that time of year again for the Cosmo Blog Awards. A big congrats to all that have been nominated! I think it's a great way to check out new blogs and I love that there are some under dogs again this year. Obviously I would love to be nominated one year - however, there are some blogs this year that I LOVE and they definitely deserve to be there. So, like last year I've popped my pick... Enjoy! I really struggled with this one as there are two on here that I regually look and read and go to for advice. However, in the end I went for Beth from Birds Words. I love her reviews, how detailed they are. It shows that she really looks at her products and her features are great as well. The other I would recommend is Kayleigh from Couture Girl - her blog is amazing too, some fab reviews! Check both of them out as they both definitely deserve to be recognised. This was a category that I was suprising stuck on as I didn't really recognise a lot of them. However in the end I went for Hannah from Cosmetic Crave. Her blog is gorgeous and her reviews are really well put together. She's a gorgeous girl as well. 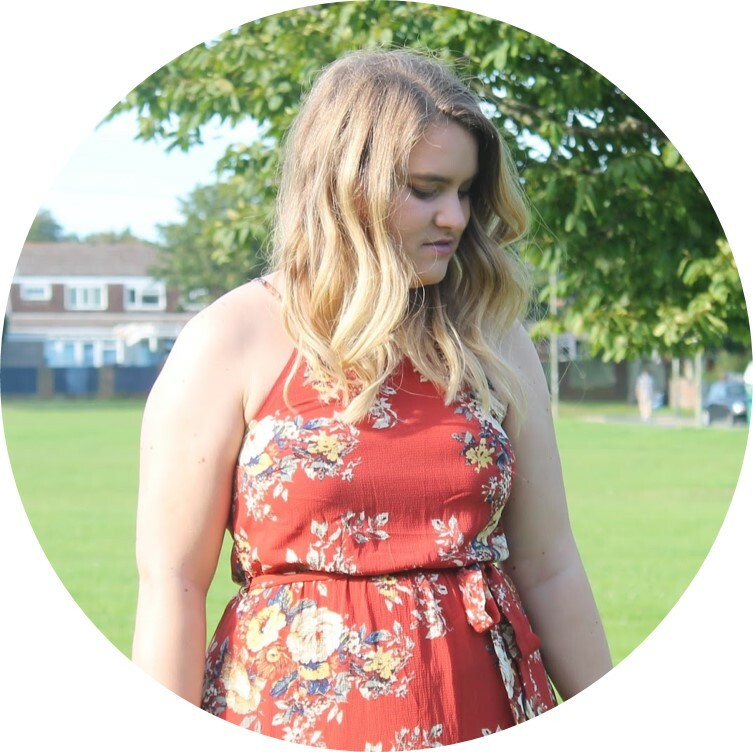 She's done so well for a newbie blogger and should be very proud of her blog. Really loved her post on DIY scrub and Plastic Surgery Debate. It's a real mix and has become an everyday read for me. THis was a really easy one for me. What Olivia Did, Olivia, has incredible style and I would love her wardrobe and confidence to style herself as she does. She is incredibly gorgeous and her photos are really well done. This is turning a big gushy stalkery so I'm going to apologise! Again, easy one for me. Laura fron Tiny Twist is such a lovely lovely girl and she looks incredible. I love the way she puts her outfits together. I don't have the courage that she does to wear some bits, but she always looks chic and gorgeous. I love her hair/complexion as well. Basically I have a major girl crush and everyone should go vote for this girl as she really deserves it. I recommended this blog to win Best Food blog last year as well, but it's Rose from The Londoner. If you don't wish you had her life you must be insane. I love reading and looking at her latest journeys and exploits, wishing I could go where she does and live her life. Would love her figure/wardrobe as well please? A recent find for me this blog and I'm loving it so far, Abby from Un-observed has a beautiful blog. It's really well designed and incredibly unique and her little quirkly interior posts and great and really inspirational for someone who is looking to move into her own home at some point over the next few months. Take a peek - for me it's gonna be my go to when I move out! Estee from EssieButton hands down gets this for me. I LOVE her videos. She is always the first channel I go to when I need a pick me up on youtube and I love her beauty reviews on there as well. She has such a fab personality and it really shines through her videos. She is quirky in the best possible way and I suggest you all go and subscribe now. Also in this category that I do love is Fleur from Fleur de Force, so if you haven't checked her out as well I definitely would. For me this was definitely between Anna from Vivianne Does Make Up and Corrie from The Dizzy Brunette, in the end Corrie won out however. I've met her recently and she's absolutely lovely and stunning in real life. Her videos are also great, she has a lovely personality on them and I love her tutorials and just the range of videos that she does on YouTube. Plus shes from the South like me! I have missed a couple of categories, mainly because I didn't know the blogs nominated so I didn't feel like I should pass a vote! But all the above are regular reads for me and I would definitely recommend checking them out. You can vote for your favourites here!